When you first hear the words “intuitive eating,” they might sound scary if you are used to being told what and what not to eat. After attempting fad diet after fad diet and reading food tips, you have been convinced that there is a right and a wrong way to eat. 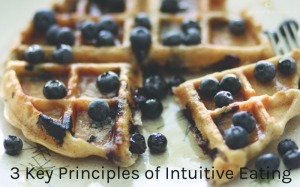 How could someone ever eat intuitively and be healthy at the same time? Dieting is not as successful as we think it is. Instead, diets are good predictors of weight gain. A University of California, Los Angeles study in which researchers looked at 31 long-term studies on dieting found that dieting was the consistent predictor of weight gain. Two-thirds of those who dieted gained more weight than they lost after dieting. That is a lot, is it not? Begin by learning to recognize and reject the voice of the diet. This can be challenging because it is everywhere in our culture, especially in your media and social interactions. I doubt you could go one day without encountering this worldview. The diet mentality loves to dichotomize food: some food is “good,” while other food is “bad.” Try to recognize this when it is done in your mind or in others’ language. It is unhelpful because even if you ate what the diet mentality considers to be the best food choice (example: kale), all day, every day – you wouldn’t survive. Your body cannot operate only on this “perfect healthy food.” We need all kinds of foods. We should learn to resist the urge to categorize foods in black and white. 2. Eat when you are hungry and stop when you are full. 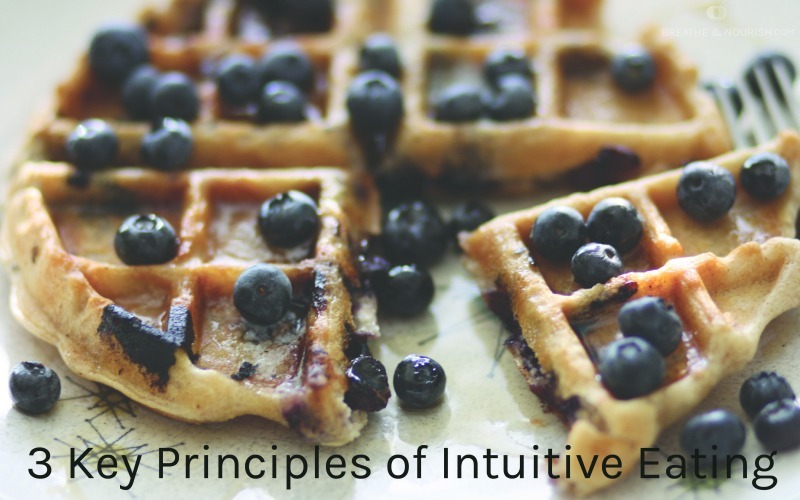 Intuitive eating is all about listening to your body’s cues. Tuning in and believing that your body knows more about what it needs than what you think it does. We can trust our bodies. Eat when you feel hungry, no matter what time of the day it is. Stop eating when you are full, even if your plate is not clean. You can always eat again when you are hungry. 3. Eat to feel good. When you eat to feel good, you learn to tune in to what foods do in your body. Instead of eating to the point of discomfort, you’ll choose to feel better by putting your fork down when you’re satisfied. You will choose foods that help you to concentrate and perform all of the necessary tasks, rather than foods that will make you feel terrible and restrict you from your daily activities. So the next time someone asks you, “Do you want to be good and go on a 3-day juice cleanse with me next week?” You can say “no” with confidence. Lauren Cash is a body acceptance blogger, focused on all aspects of well-balanced physical and mental health. She often writes about weight stigma, intuitive eating, fad diet myths in pop culture, and how to live a more psychologically healthy lifestyle on her blog, Breathe & Nourish (please link to breatheandnourish.com). Lauren has her MA in Psychology and is currently working on her MS in Nutritional Science to become a registered dietitian so she can continue to help people improve their relationships with their bodies and food. Next post: Eating Paleo – Just Another Fad?